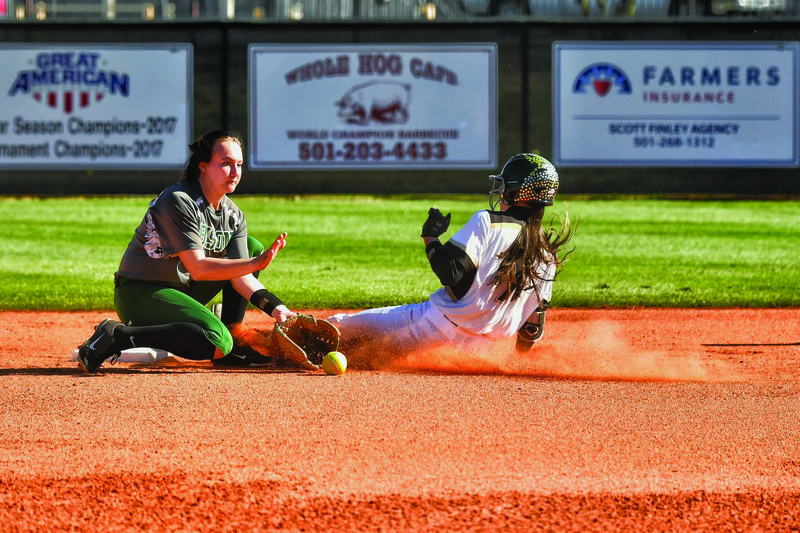 The Harding softball program’s record books are young, and this is only the Lady Bisons’ sixth season; however, for senior outfielder Peyton Mills, it is still a special moment to have her name written in history. Mills set the school’s RBI record in the opening game of Harding’s series against Oklahoma Baptist University (OBU) on March 15. With two runners on in the bottom of the fourth inning, and Mills’ RBI total set at 152, Mills doubled to center, scoring sophomore outfielder Kyndal Pirtle and freshman second baseman Hanna Jones. Those two RBI’s gave Mills the school record with 154, breaking former catcher Kimmy Hendricks’ two-year-old record. Mills said it was special to break Hendricks’ record because she looked up to her as a freshman. Softball Head Coach Phil Berry said Mills has been an exemplary student athlete from the time that she stepped on campus. “She has been a special player,” Berry said. “This is not the last record she is going to break before she leaves this spring.” Mills already ranks first in program history in triples and slugging percentage, and is top three in total bases, stolen bases, hits, doubles and homeruns, among others. Berry said her leadership on the team is crucial to the team’s success. “[Our team focuses on] doing the small execution things, moving runners, sacrificing yourself for the good of the team and hitting a ground ball that produces a run,” Berry said. “Peyton has certainly provided leadership in that direction.” Even though Mills has passed this exciting milestone, she credits her ability to drive in runs to her teammates. Junior outfielder Lindsey Duncan has been Mills’ teammate for three years now. She said Mills is a calm and collected leader. Berry said it was great for Mills to set the record at home, celebrating with her friends and family. Duncan said it was great to be at home so more people could see Mills break the record. “After the game, she got more hugs, highfives and congratulations than she would have if we were on the road,” Duncan said. 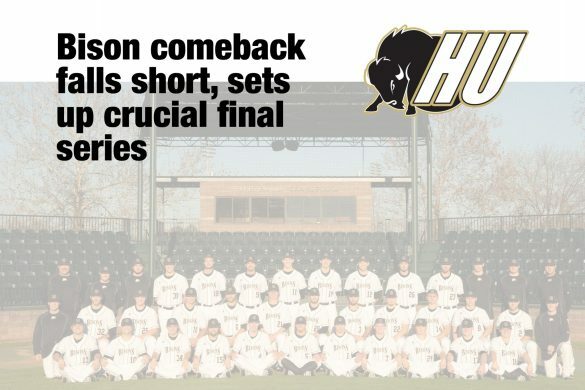 Harding won Mills’ record-setting game 4-2 and the series against OBU 3-1. They are now 16-12 overall and 8-8 in conference play. Mills had a hot bat all series; she went 7-11 with six RBIs, swiping four bags in the series as well. The team now hits the road for a series against Southern Nazarene University beginning today at 2 p.m.